When you head to the grocery store, you’re surrounded by a variety of different water brands. You most likely just grab one and go without giving it too much thought. Many people tend to go for what’s cheapest, looks best, or has the highest pH balance. Bottled water is a field in which it truly is anyone’s game. A newcomer can come on the scene and crush the competition if they’re willing to do something different. Once a water company knows how to set itself apart from the crowd, it can make some serious sales. That’s exactly what Waiakea Water is doing. Not only did the company create water that’s different from all the others, but it has also managed to create a brand which is bettering the world around it. Waiakea Water is from Hawaii. 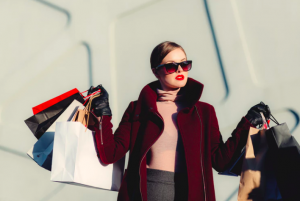 This is something that instantly attracts the attention of consumers, especially millennials. Hawaii evokes a certain feeling in all of us. Not only do we think it’s a trendy place, but it also makes us think of a place that’s pure, fresh, and untarnished by the rest of the world. That’s exactly what Waiakea Water brings to every bottle it sells. The water is volcanic water, which is filtered. Not only is that seen as trendy, but it’s also healthy. The water is rich in minerals like magnesium and calcium, so it’s a quick and easy way to get the minerals that our bodies crave. 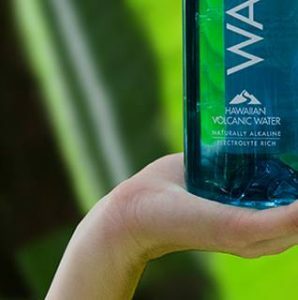 Not only is this water hydrating you, but it’s also providing various health benefits beyond that, like settling upset stomachs and helping you when you’re feeling ill.
Waiakea Hawaiian Volcanic water isn’t just helping you; it’s also helping the environment. Many people have shied away from using water bottles because they’re nervous about contributing to the plastic that’s discarded in the environment. But many companies are making the push away from plastic and towards more environmentally-friendly solutions. Waiakea Water is one of those companies. Founded by Ryan Emmons, it has created the first ever bottle made of 100% recyclable materials. These bottles break down after roughly 15 years. That is a huge leap compared to the thousands of years it takes for traditional plastic to break down. The company didn’t stop there; it also donates to local nonprofits. For every liter of water someone buys, the company donates clean water to Malawi residents in need. Not only does this water make you feel better physically, but you’ll also feel better emotionally knowing that you’re doing something so great for the community. Waiakea Water has been voted one of the fastest growing companies, and it’s easy to see why. More people are becoming aware of exactly what they are putting into their bodies. They no longer want sugary drinks; they want something that will make them feel better. Many people struggle with drinking water and meeting their daily intake. Waiakea Water is known to have a smoother taste with a hint of sweetness compared to other traditional bottled waters. Overall, Waiakea Water will help your health. You can never go wrong with drinking water. This company takes it a step further by hydrating your body with pure volcanic water packed with minerals that your body craves.